Which other used premium saloons and estates are also worth a test drive? Any drivers considering buying a used, upmarket saloon or estate like the C-Class should also direct their attention to Audi’s A4, the BMW 3-Series, Volkswagen’s Passat and the Volvo S60 or V60. Which you choose will mostly come down to personal preference and the deal on the table. That’s because they are all good cars, with plenty to recommend about them. The Audi A4 had an interior that was of outstanding quality, and certain models came with the option of Quattro four-wheel drive, which will appeal to some motorists. Whereas the BMW 3-Series offered the best driving experience of its peers. However, by switching to something like the VW Passat, you will be able to get a younger model with lower mileage compared with any Audi, BMW or Mercedes. And if you’re the sort of driver who wants a premium car without a German badge on the bonnet, the Volvo S60 and V60 models are well worth a test drive. It has one of the most recognisable logos on its bonnet – the three-pointed star is up there with the Nike tick, McDonald’s golden arches and Coca-Cola emblem – and inside the cabin feels just as unmistakably a Mercedes-Benz. Its interior has a discreetly stylish, sober design. There’s a big steering wheel with the Mercedes badge in the centre, clear analogue instruments, rotary dials for the climate control, chrome-effect trim around all the switchgear and big, chunky armrests and door handles that add to the feeling of robust, German engineering. The earliest cars have a sat nav screen that rises from the dashboard (this would be flush on facelifted models from 2011) and a rotary wheel, down by the gearstick, lets the driver or passenger operate the infotainment system for the audio, phone and navigation systems. It’s supremely comfortable for the driver. The chairs do a first-rate job of keeping aches and pains at bay, there is a wide range of adjustment and there’s no shortage of space. In the back, there’s seating for three adults, but those on the tall side may find that the sloping roof means their head rubs the ceiling. 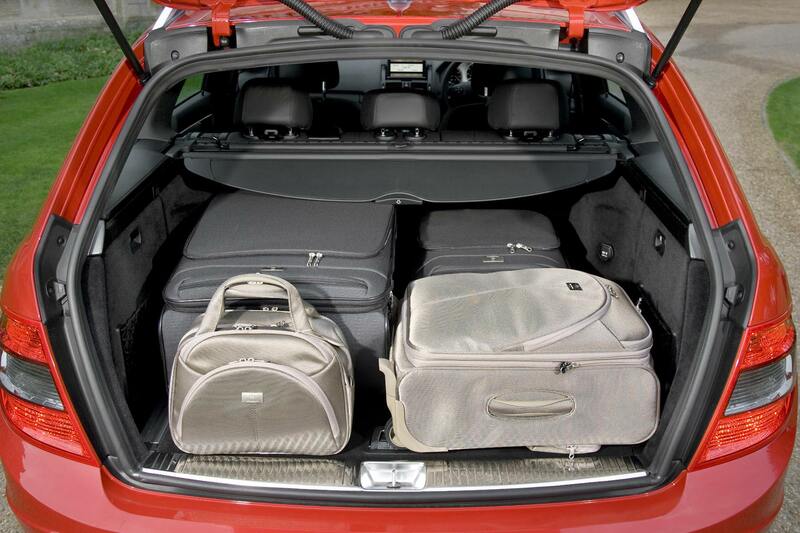 The saloon offers a boot with a 475-litre capacity, while the estate only added a further 10 litres to this. However, fold down the back seats and the estate has a big advantage, with 1500-litres of room for bikes or furniture. When launched, in 2007, there were three trim levels offered: SE, Elegance and Sport. An SE Executive joined these, in 2009, then following the car’s facelift, in 2011, Mercedes revised these to start with Executive SE and step up to AMG Sport or AMG Sport Plus trim levels. From the outset, all C-Classes came with something called Agility Control Suspension. This was said to give a comfortable ride at low or cruising speeds, and better roadholding and response at higher speeds. In addition, the German car maker fitted every model with an electronic stability system (ESP), seven airbags, Bluetooth connectivity, alloy wheels, climate control, front and rear parking sensors plus electrically adjustable seats. If you like luxury trimmings, look out for Elegance spec cars, as they add wood trim and extra chrome detailing, and goodies like automatic wipers. Sport models brought lowered suspension, a subtle bodykit and more direct steering. There were some key extras that may be worth looking for when browsing used C-Class models. These include leather trim, Mercedes’ multimedia system with voice control, called Comand, and an intelligent lighting system. The latter would adjust the light pattern of the Xenon headlamps to better suit either junctions and corners, country roads, main roads or driving in fog. It may have been one of the more affordable cars in Mercedes’ range but the company threw (nearly) everything it had at the C-Class to keep drivers and passengers safe. There were seven airbags, with one for the driver’s knees – something of an innovation at the time. 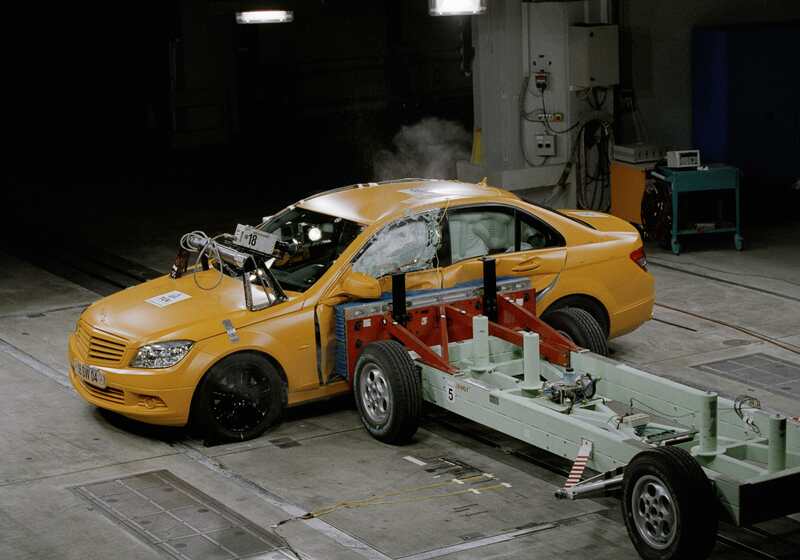 Little wonder, then, that when the car was tested for crash safety by Euro NCAP, it scored a maximum five-star rating for adult occupant protection. Other innovations included brake lights that flashed during emergency braking, active head restraints that shifted position to prevent whiplash and something called Pre-Safe, which effectively monitored the braking and stability systems to spot an emergency situation and tension the seatbelts, put the front seats into an upright position and close the sunroof and windows. Mercedes took a big step forward with this C-Class over its predecessor. It was dramatically better to drive, more responsive, quieter and had a much-improved engine range. Admittedly, a BMW 3-Series is more fun to drive – but only in certain situations, where you can stretch its legs on a flowing country road. 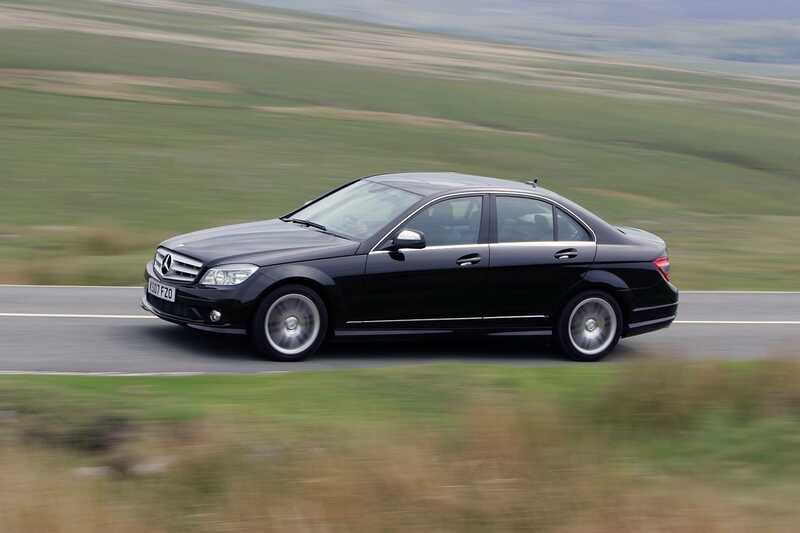 In other respects, the Mercedes makes for an accomplished all-rounder, with excellent long-distance comfort. The most popular models were the diesel-powered versions. There were four-cylinder and six-cylinder models, and the C220 CDI is arguably the sweet spot in the range, giving the potential for up to 68mpg and brisk performance. However, a variant of this engine was the C250 CDI, and it’s almost as frugal but noticeably swifter. However, it’s also more expensive, and those prepared to pay more for it should also test drive a six-cylinder diesel C-Class, as it’s much smoother sounding. Drivers who don’t do many miles each year might want to consider a petrol model. The entry-level C180 has a supercharger to give a good response, and the economy is 44mpg, at best. If you want more power, pick the C250 or C320 or later, C350 models. In Executive SE trim, the C220 CDI can return up to 68mpg. Driven sensibly and you’re likely to get over 50mpg in day-to-day use. There will always be bargain buys out there, but as a rough rule of thumb, the C180 petrol is going to give you a lot of car for your money. At this price range, there’s a surprisingly wide choice of engines and trim levels, and the mileage won’t be too high. Most C180s will have less than 50,000 miles on the clock. The C250 CDI’s blend of fuel economy and swift performance makes it sought-after in this price range. This budget affords a facelifted model. The much-improved, facelifted model is widely available, and the plush, top-of-the-range C350 CDI estate brings a smooth engine with effortless performance and impressive economy. James Mills is a former editor of BBC Top Gear and Auto Express magazines. He now contributes to The Sunday Times Driving. His favourite car is the Caterham Seven.